Back in 2014, Marvel Comics celebrated 75 of years of comics excellence. To commemorate the historic anniversary, DK released Marvel Comics: 75 Years of Cover Art, a beautiful, large-scale book featuring some of the most impactful, inspiring, and unusual comic cover art to come out of the Marvel vault.With access to the rarest and most interesting cover art in Marvel’s 75-year history, DK brings together an unforgettable gallery spotlighting the most iconic covers along with never-before-seen concept art from all over the world. Featuring the likes of Spider-Man, Iron Man, and The Avengers, as well as the writers and artists who gave them life, including Jack Kirby and Stan Lee, this book brings together the beloved Marvel characters like no other has done before. 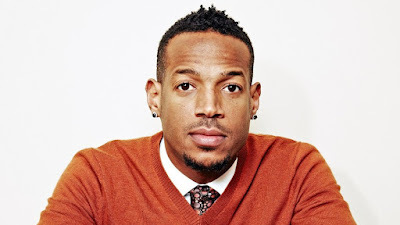 After the successful launch of Xbox Live Sessions last week with DJ Khaled, the next celebrity to take part in the interactive, livestream show hosted on the Mixer Xbox Channel is star of the new NBC show “Marlon,” Marlon Wayans. At 6:00 p.m. PDT on Wednesday, September 6, Marlon Wayans will play Destiny 2, which launches that same day. Prizes will be given away throughout the session, all while he talks about the new show, other projects he’s working, his propensity for gaming and answers questions from fans. Fans should be on the lookout for other Xbox Live Session announcements with other iconic athletes, actors and musical talent coming soon. During each livestream hosted on Mixer, premiere guests – including athletes, actors, musical talent, and more – will join Xbox to share stories and discuss their passions, while debuting exciting new titles on Xbox One. Throughout each livestream, Xbox fans will be able to interact with their favorite celebrities, like never before, by submitting questions for celebrity guests to discuss during the live broadcast. Viewers will also have the opportunity to participate in multiple giveaways throughout each session. During Xbox Live Sessions, fans will have the chance to see gameplay of Xbox’s most anticipated titles, including sneak-peeks of popular games ahead of their official release. Make sure you tune in to see Marlon Wayans on Wednesday, September 6 at 6:00 p.m. PDT on the Mixer Xbox Channel.